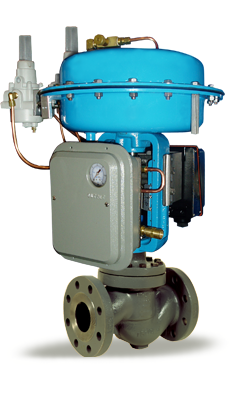 Pressure Regulating and Back pressure Sustaining valves with an Integrated Pneumatic Pressure Controller. Don't be fooled by the simplicity or the low cost of the Merlin. This Pneumatic Control device has been proven rugged. Used by the Military since 1975; it has passed Navy Shock & Vibe testing. Suitable for a wide range of fluids and just about any harsh environment. Optimal for pressure reduction or back pressure regulating. CAPSULE: Phosphor bronze or NI -SPAN. CONTROL ACTION: Direct Acting or Reverse Acting. 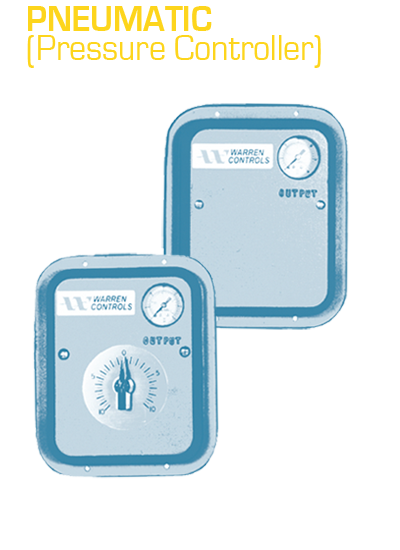 Same as Model 8351, except that it has an internal control point setting. Can have any failure mode!